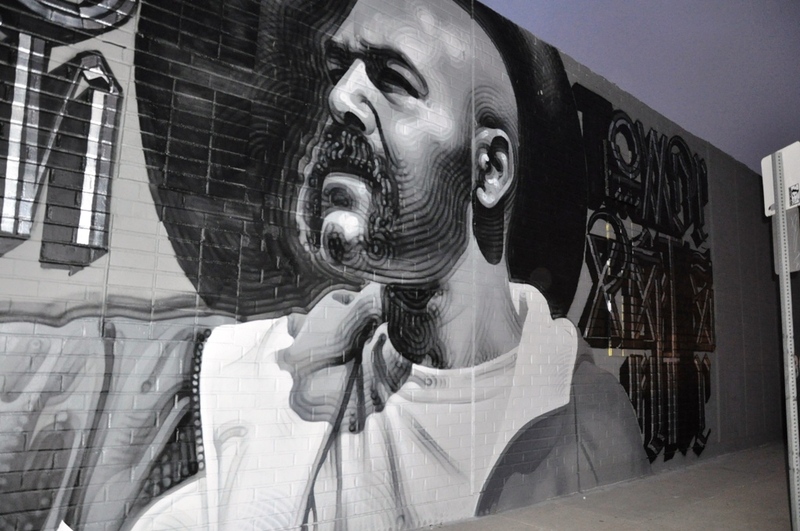 Those who came out for the Culver City Artwalk and ventured south of Washington on La Cienega encountered a very special treat. 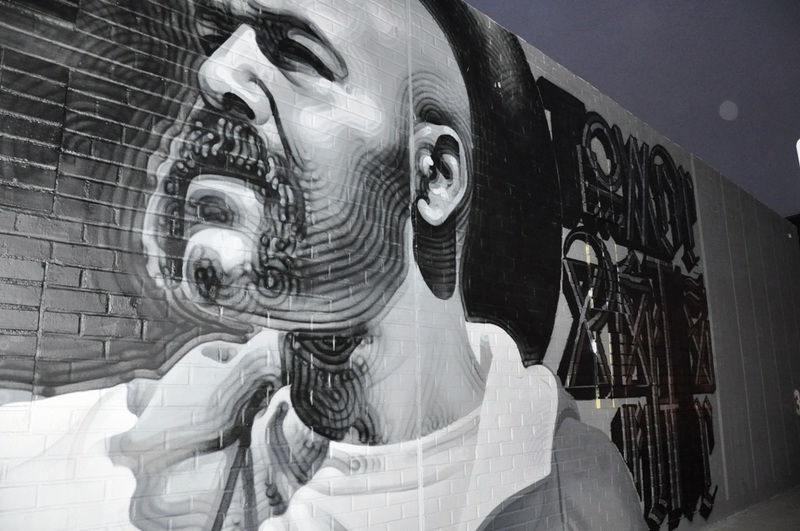 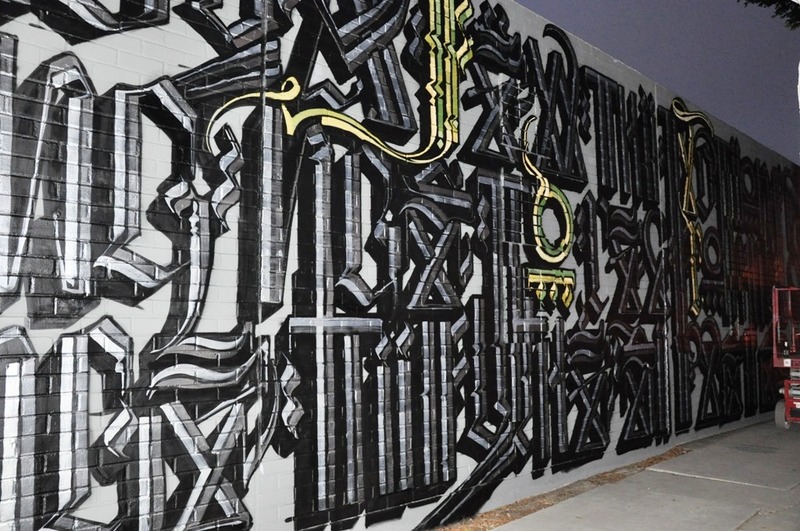 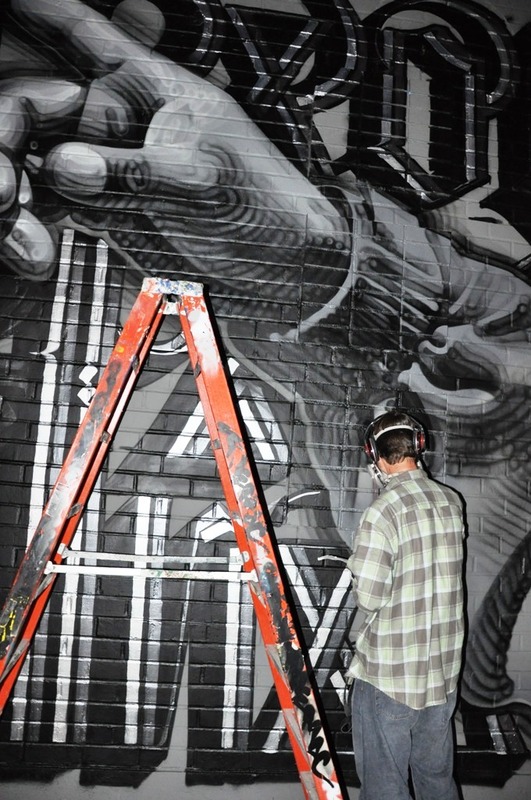 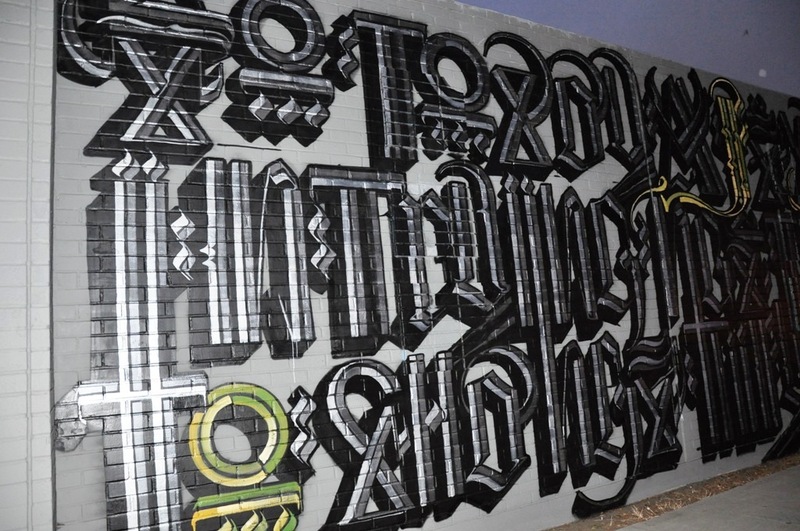 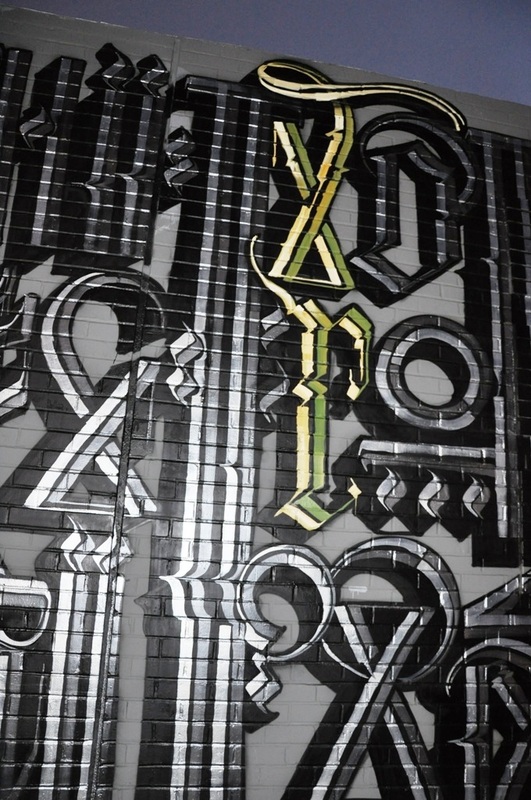 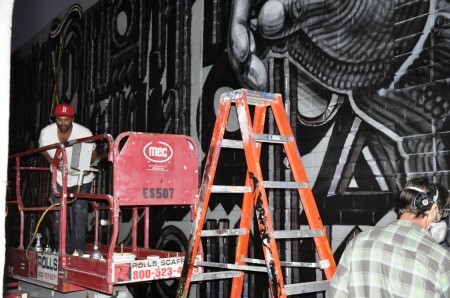 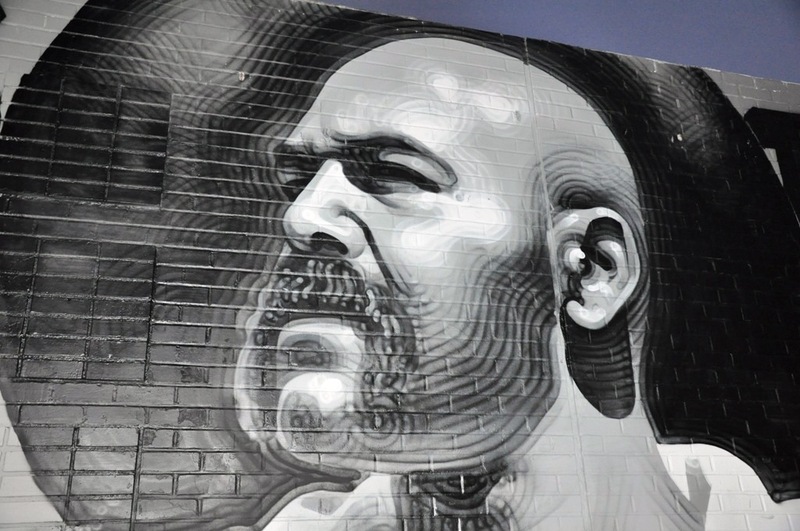 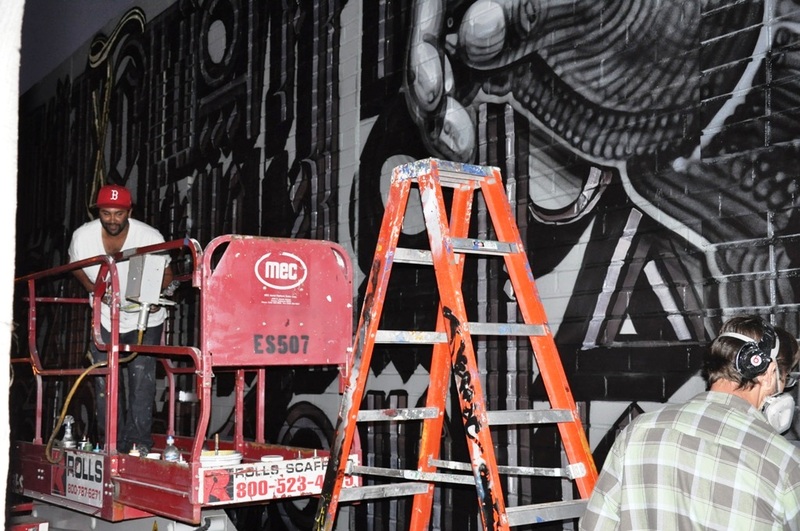 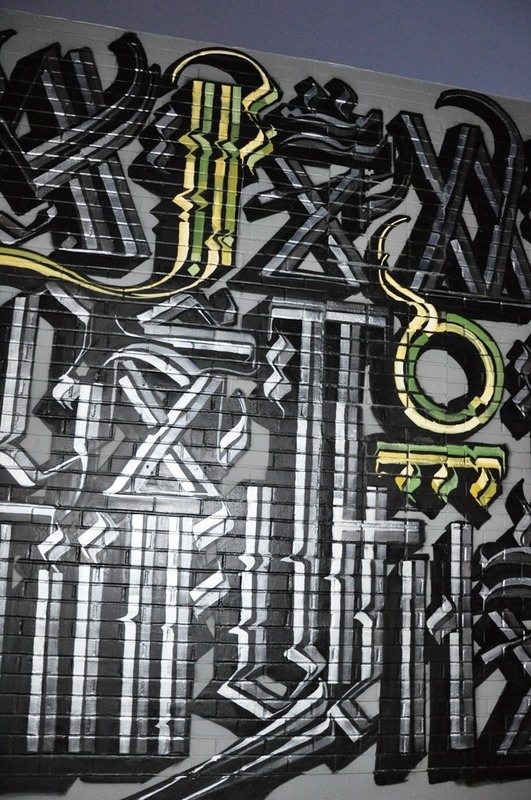 Two legends in graffiti, El Mac and Retna, were collaboratively painting a huge mural sponsored by Rivera & Rivera. 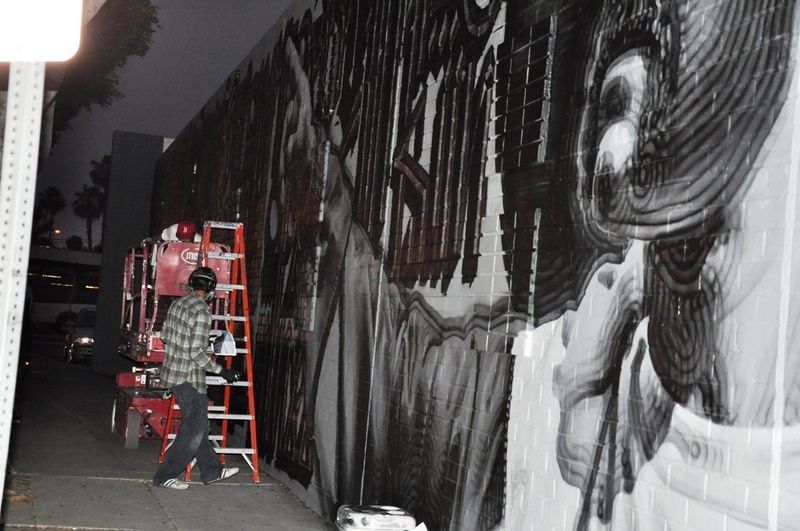 The team, who have blessed walls from coast to coast–including many beautiful ones in Los Angeles already–worked into the night, unloading aerosol can after aerosol can on this piece. 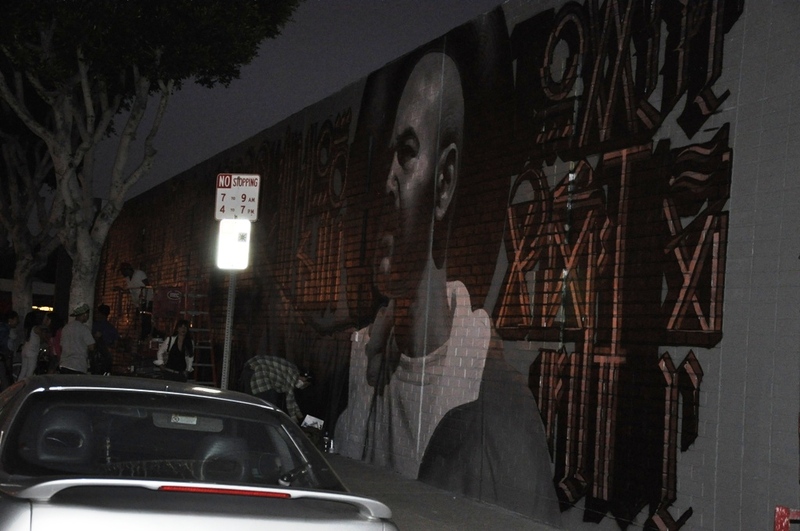 Word is that they had two days left on this one, but as you can see, it already looks spectacular. Categories: Art, Features, Seen on Streets, Street & Urban Art. 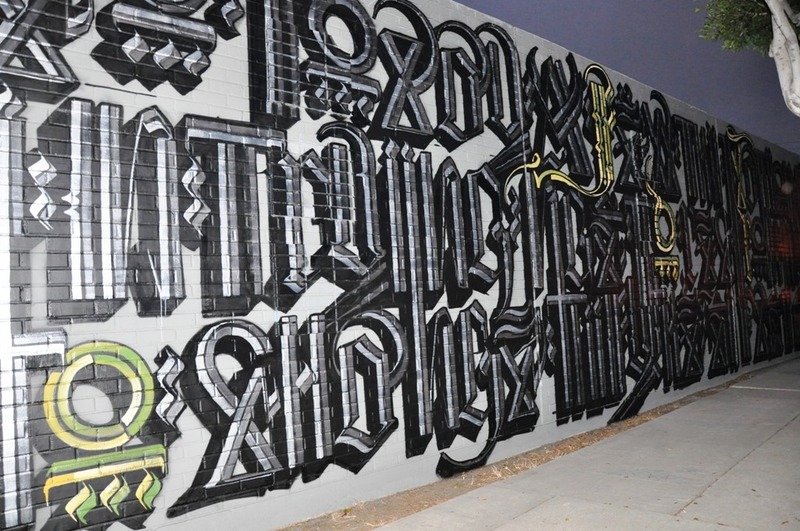 Tags: ARTWALK Culver City, ARTWALK Culver City '10, AWR/MSK, El Mac, Features, MAC, Mural, Retna, Seen on Streets, Street & Urban Art.